La Maison Jolie: Ding - The Smart Way To Answer The Door! Doorbells are a necessity in every home and unlike most products, they haven't really evolved with our changing lifestyles or design trends. Most doorbells are largely less than average in functionality, quality or design. 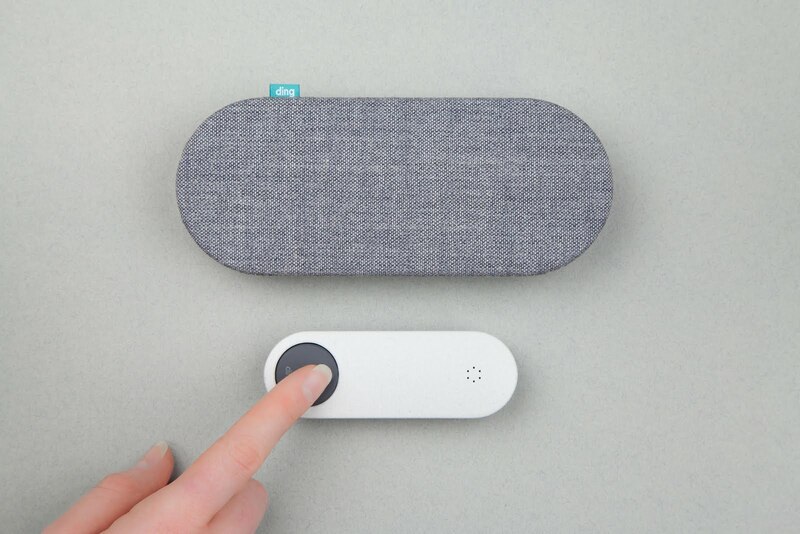 Ding, a smart, simple and beautiful doorbell invented by the creative duo John Nussey and Avril O'Neil connects your home with your smartphone, wherever you are in the world. This clever doorbell unites design with technology hence 'smart' and in a short span of time has gained huge momentum on kickstarter securing over 800 backers and raising over $100,000 in funding! John, a technologist, working in the areas of physical computing, product prototyping and open-source electronics along with his partner Avril, a designer, who has also taught design at a variety of universities, including Goldsmiths and Central Saint Martins, have just released Ding in their quest to make products that are more connected to our evolving lifestyles and personalised interior design rather than just technology. 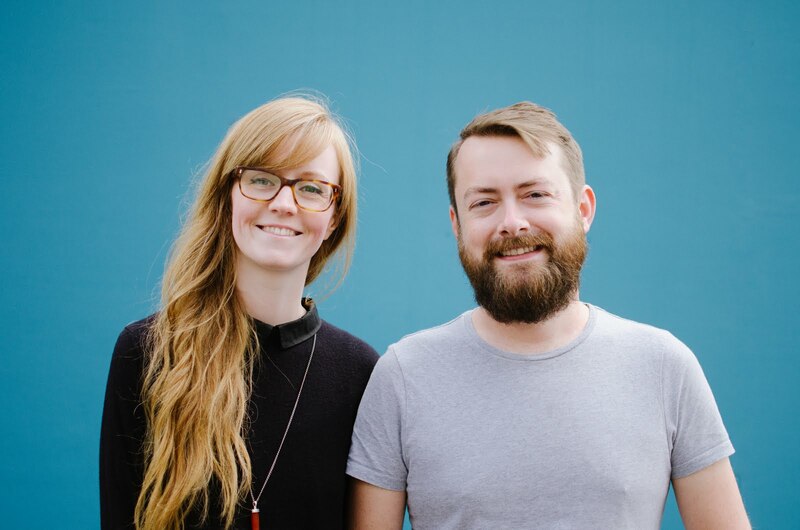 I caught up with John and Avril to find out the inspiration behind Ding and their journey so far. What has been the inspiration behind creating Ding? 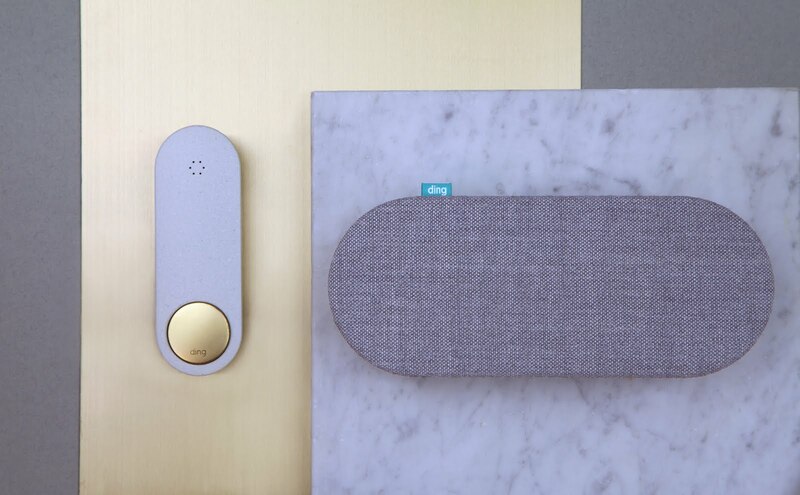 Ding was an idea that we had in the back of our minds for a long time – to design a doorbell that suited contemporary homes. We were working as design consultants so we rarely had the time to develop our own concepts into something real. However an opportunity came along that was perfect, the Design Council Spark! Over the following four months we set about defining exactly what Ding was and how we were going to make it. We went through dozens of prototypes to see what worked, found out what people liked and tested the user experience in the real world. The Design Council saw promise in our idea, awarding us with funding and named us their most innovative product. We used this funding to further develop Ding with award winning product designers at Map Project Office. To make sure we're getting it right we've been constantly getting feedback by talking to early adopters at The Gadget Show Live, Kickstarter super backers at London Design Festival and meeting with interior design bloggers. We've now reached a point where we're really proud to show you Ding. 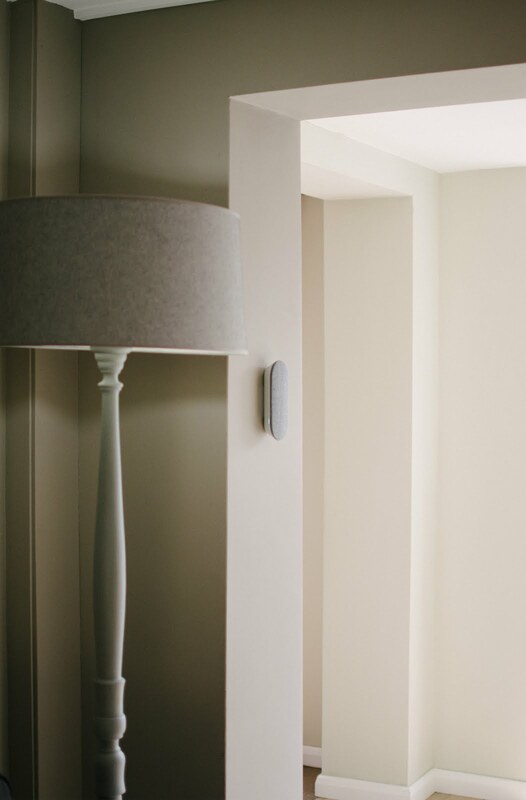 Our smart doorbell is made up of three parts, a subtle doorbell button that sits near your door, an elegant doorbell chime that sits in the home and a free app for your smartphone. 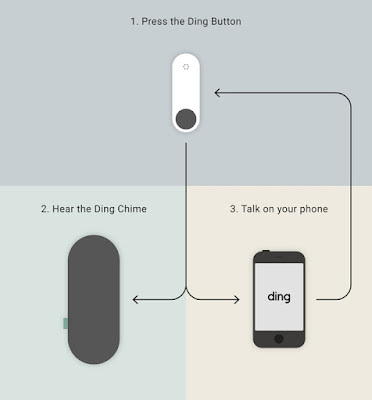 When a visitor presses the button, the chime rings in your home and also connects to the Ding app on your smartphone, allowing you to talk with the person at your front door from wherever you are in the world. Ding gives you anonymity allowing you to choose how you answer the door, if you want to at all. How does the Ding App work? 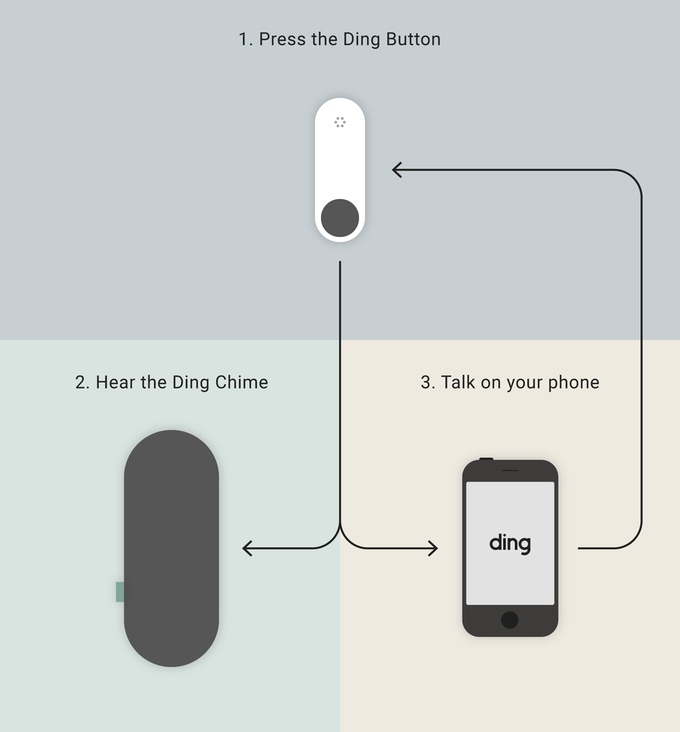 Use the free Ding App to receive calls straight from your front door on your phone, keep track of all your visitors and also silence the interior chime when you need some quiet time in your home. Ding is so useful. With Ding you'll never miss another delivery again. You can answer your door from anywhere - the bath or the office or the grocery store. You can silence the chime when you are sleeping or resting which is especially great for families with babies or young children. 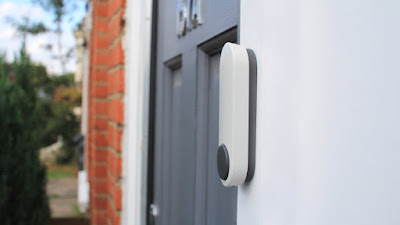 With Ding you don't need to install an intercom system and you don't need to rush to the door incase you miss the postman or the delivery man. Even when you are not home, you can let the person know. And most importantly from a security point of view, you can find out who's at the door before you answer it. 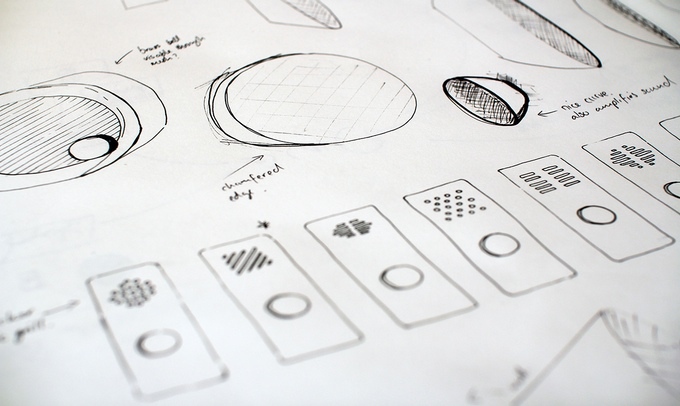 What has been the inspiration behind the sleek product design? We designed Ding to fit into any home. We’re trying to avoid creating another “plastic box” and instead make something that compliments homes both inside and out. 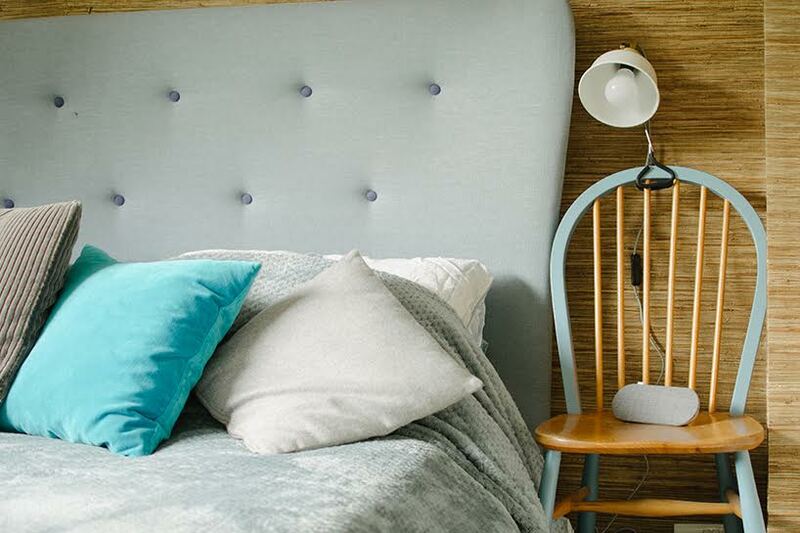 The Chime is lozenge shaped so that it can be mounted vertically on a wall or horizontally on any flat surface. We have given it a more homely feel by covering it with fabric. We’ve kept the same shape with the Button whilst also ensuring to make it slender enough to fit onto door frames. Tell us a little about Ding's colour options? Currently Ding is available in a charcoal colour scheme which is subtle enough to suit most doors and contemporary interiors, but we'll also be voting for an additional limited edition colour during the campaign. This will be either teal, cobalt or salmon. You can vote for your favourite throughout the campaign. When and where will Ding be retailing? We are currently in discussions with John Lewis about retailing with them, after we have fulfilled the Kickstarter orders in August 2017. Our favourite room is our living room. It’s where we spend time with family and friends. Most of our mementos and trinkets are on the shelves too so it feels very warm and homely. Where do you see Ding in five years time? 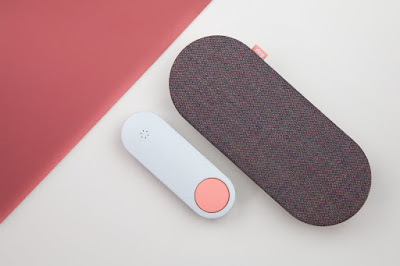 We started Ding with the simple idea of re-thinking the doorbell. Once we have our smart doorbell in people's homes we have plans to apply the same thinking to other forgotten products. At Ding we believe that anything is possible with technology, but our real challenge is to figure out what people really want from their smart products so that they integrate seamlessly into our lives. How many times have you run for the door only to miss the postman again? Or missed that important delivery because you were in the backyard, shower, at work or at the grocery store? Or maybe you just put your baby down for a nap only to have the doorbell go off and wake the baby up again? As a mum of an over active toddler, nap times are gold! I have lost count of the number of times I have missed important deliveries because I was putting my daughter down for her nap and had switched the doorbell off. So when I was introduced to Ding, I was excited! 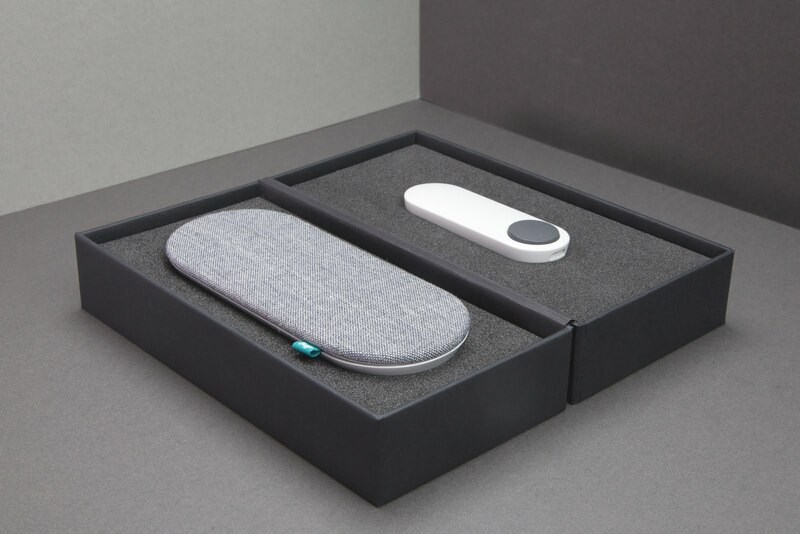 Not only is it a clever concept and a fantastic product with seamless integration, easy to use with just one layer of connectivity, but design wise, it's sleek, minimalist and oh so pretty! 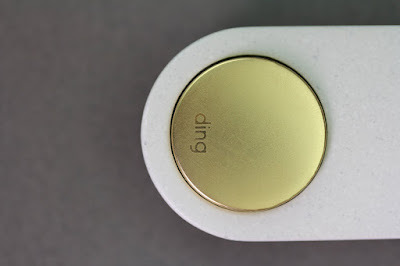 Ding is simple yet quite revolutionary. The doorbell system that costs $129 on Kickstarter, will be available by August 2017 in retail outlets and its estimated retail price will be $159. The Ding kickstarter project ends on Friday 11 November. Till next time...get a smart doorbell...Ding! That is such a handy and secured safety device. I really loved it. I might purchase it from security intercoms as well.